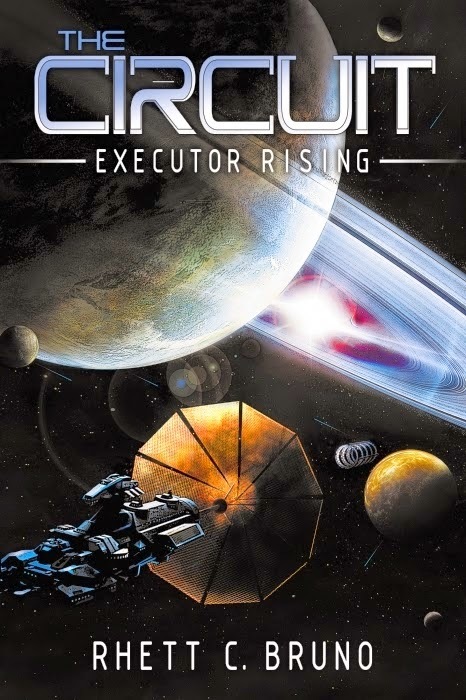 I'm always looking for a great space opera, even though the genre doesn't always work for me. Sometimes it's the plot, sometimes it's the attention to detail, sometimes it's just that the ideas aren't compelling. 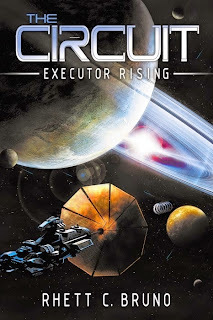 The Circuit is a space opera that draws from a lot of different ideas, and when it works, it's really solid, but sometimes there's less likable parts to wade through to get to the meat. This week we thrill as a naked robot woman travels from the future to kill wretched hobo John Connor for the third time, as we read the epically PADDED 450 page novelization of Terminator 3: Rise of the Machines! Luckily my plucky companion on this laborious trek is the wonderful Lizzy Unpronounceable and we manage to talk about a whole lot of other fun stuff along the way! We told you we'd be back, and holy crap - here we are! You can download it right now at the official site! FPcast! The Fruitless Pursuits Podcast for August 11th 2014! Postpiercer! 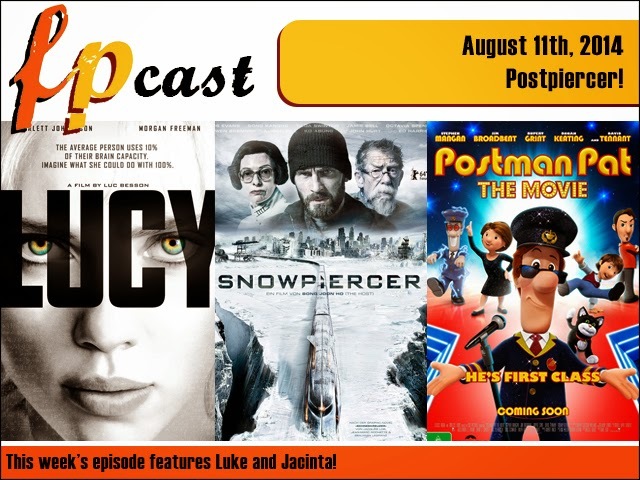 A huge episode this week as we review the totally kickass Lucy, Snowpiercer and... wait... Postman Pat: The Movie!? Plus we weigh in on those rumoured female Ghostbusters, and we discuss our lists of wretched celebrities we're embarrassed to admit we'd sleep with! HOW COULD YOU POSSIBLY MISS ALL THIS? !